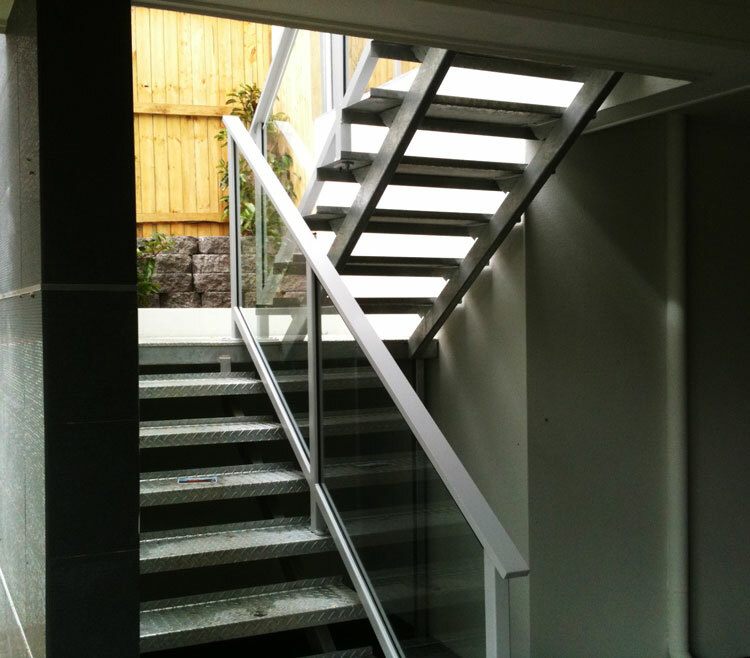 Stylish Glass stair balustrade complimented with polished aluminium treads. Powder coated aluminium balustrade and stair case as an added feature. 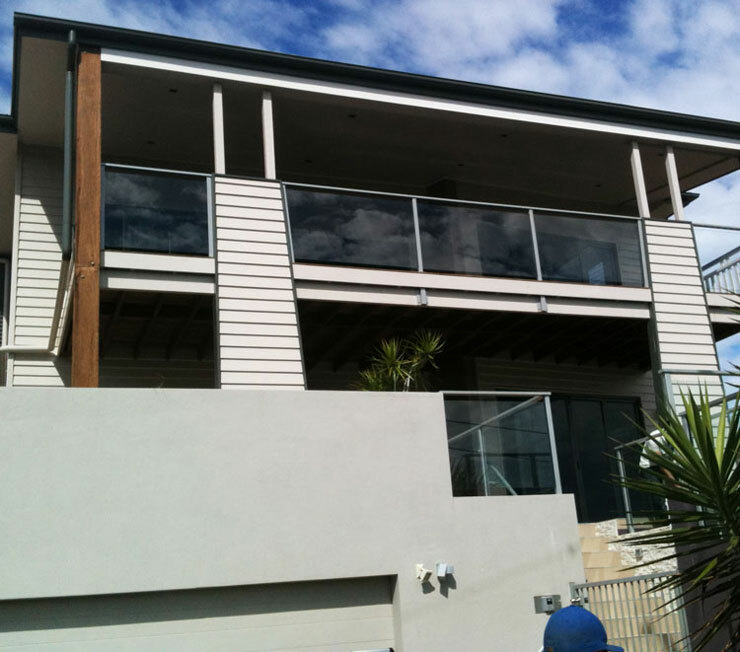 New look glass balustrade adds value to your property. Glass balustrade allows the views to remain as before and let more daylight come through. 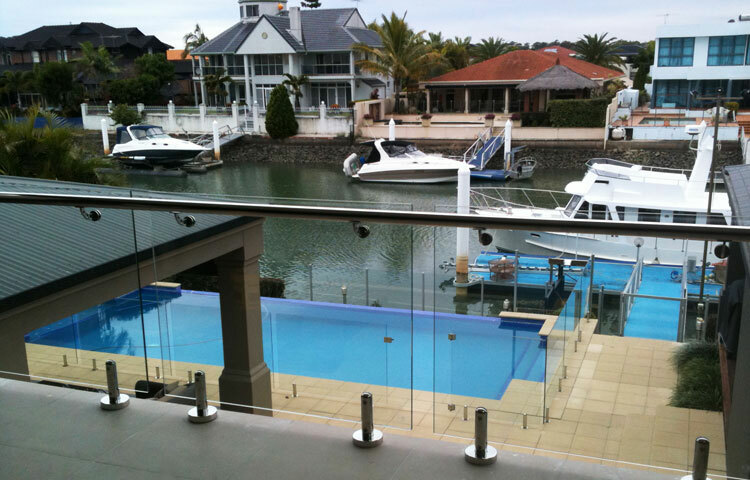 Quality Glass Balustrade with stainless steel safety rail. Hi-Liner also make pool fencing and gates to match glass balustrade above. 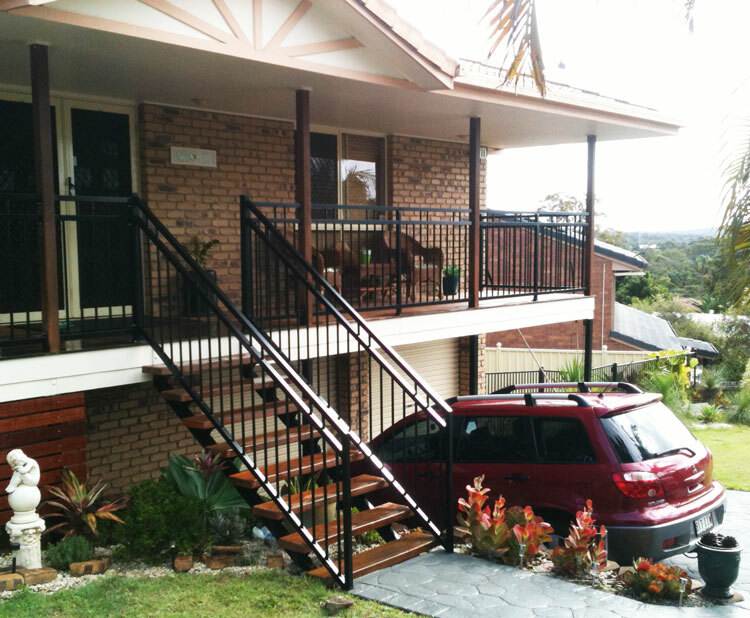 Aluminium balustrade for veranda and stairs. 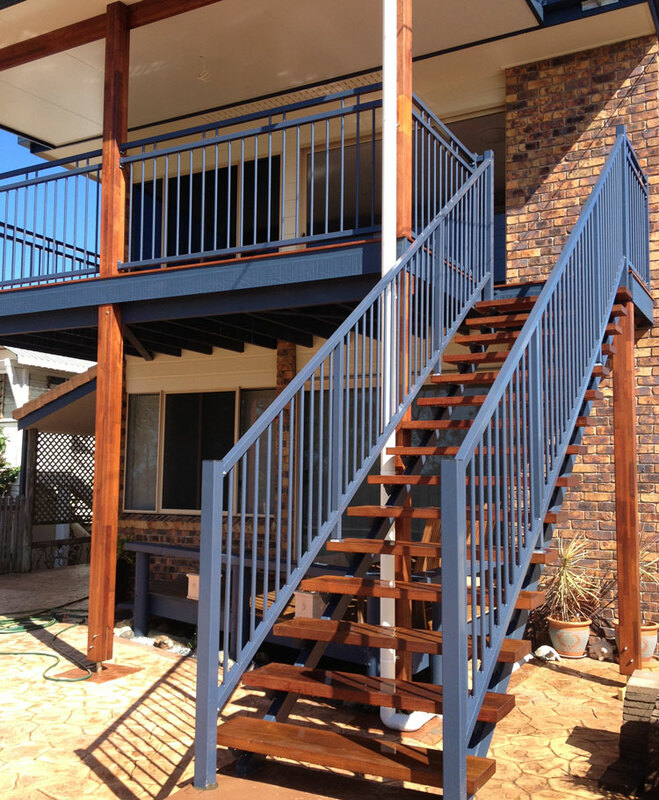 No more worries about painting the balustrade. Aluminium balustrade is available in many colours to suit your requirements. 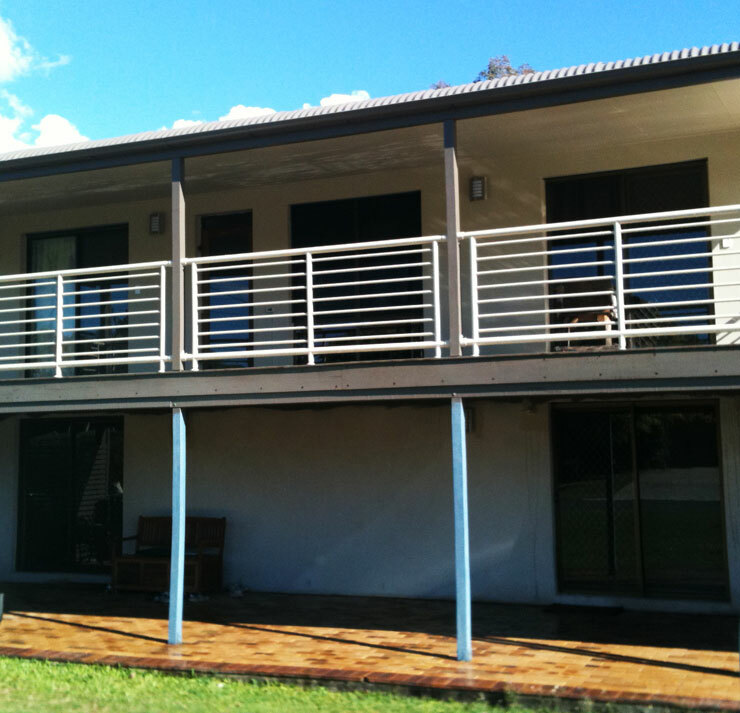 Aluminium Balustrade is has been installed with the rails on the horizontal to add a longer look. 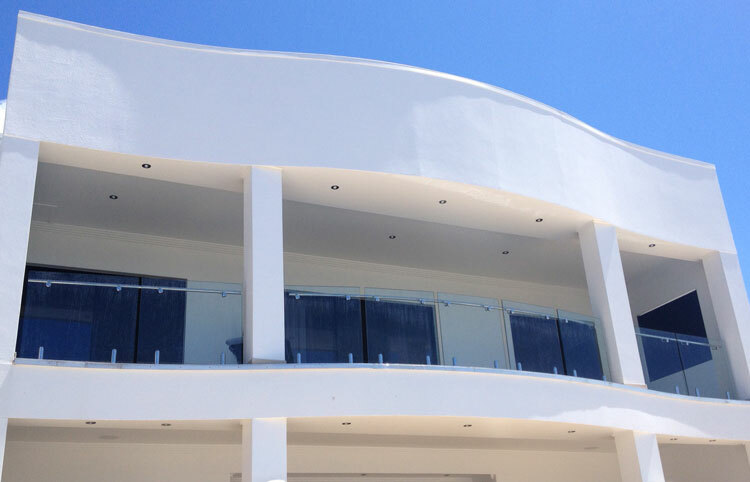 Glass balustrade and the out door area, overlooking the swimming pool. Talk to Bevan at Hi-Liner Pool Fencing.